13 tips to help you have your cake and eat it too. Want to minimise collateral damage when it comes to fat gain over the Christmas period? It happens! While I agree with sentiments around being relaxed and not stressing too much, sometimes people benefit from having structure around how to be more relaxed … as paradoxical as that might seem. Being relaxed means you’re less likely to view a disruption to your plan as a major catastrophe to your health goals – and we all know this makes you more likely to be successful in the long run. Further, sticking to a rigid diet can increase feelings of deprivation and increase dependence – these are not attributes that turn your nutrition plan into a lifestyle. Despite this, many clients are not happy with advice to go with the flow and ‘do what you can’ – they are after guidelines to help them… have their (Christmas) cake and eat it too (so to speak). Is this possible? Well it could be. Here are some practical things you can put into place in the lead up to and days following an event like Christmas day to minimise fat gain and help you continue to progress. I’m not suggesting these will help you lose body fat, but more give you some strategies so you feel in control of your food intake, and not the other way around. Treat the Christmas and New Year period as an opportunity to put into practice all of your healthy habits that you’ve developed, rather than an insurmountable challenge to healthy eating which can only be dealt with by pushing “pause” until January 2nd. View Christmas day as a metabolic boost. Following a lower calorie diet can downregulate your metabolism – lower calories over a longer period can reduce active thyroid hormones, increase cortisol levels and increase ghrelin levels – all of which can shift the body into energy conservation and fat storage. Therefore, it stands to reason that periodic overfeeding may help reverse this, favourably influencing hormones (such as thyroid hormones and the appetite hormone leptin) and increased energy expenditure, sending signals to the brain that it doesn’t need to downregulate metabolism and stall fat loss. Studies conducted to test the effects of exercising before or after a big meal show that exercising after a meal burned more energy, and more so than exercising beforehand. Low intensity exercise will also have an effect (compared to no exercise at all). Therefore, regardless of whether you go for a gentle walk on the beach or on Christmas day or a more vigorous game of backyard cricket, it is all beneficial. That said…. …if it’s not possible to do that, then any activity is better than none! Exercising prior to the meal to deplete muscle glycogen stores and activate proteins that help deliver glucose to the muscles will result in hormonal changes favourable for fat loss. The upshot of this? More calories used to restock and less hanging around to be stored as fat. Resistance training focusing on movements that recruit both big and small muscle groups (think squats, deadlifts, shoulder press and chin ups) or high intensity interval training are your best bet: time is money this time of year and you’re going to get more bang for your buck. Of course, if you’re an endurance athlete, then doing your long run or cycle will also suffice! Take advantage of the ‘second meal effect’: the hormonal response to your Christmas dinner will be improved if the meal before was based around an abundance of non-starchy vegetables (fibre), good sources of protein and a lower overall glycaemic load. You know, the kind of meal you might normally eat. It’s easy to do this around this time of year: think barbeque meats and salads, an omelette filled with feta cheese, pumpkin and asparagus, or a quick chicken stirfry. Psyllium husk. Research has found that around 20g psyllium husk (in water) 3 hours and immediately prior to a meal can have a gastric emptying and appetite reducing effect for the next 3-6 hours. While it’s tempting to think that this could be useful for long term caloric control and subsequent fat loss, there is no good evidence to support an effect on either of these. However if the additional fibre can make you feel less hungry and you’ll be less likely to eat as much then you’ve got nothing to lose by trying it, right? (And popping this into your breakfast meal or smoothie is an easy way to boost fibre intake and enhance that ‘second meal effect’). Fill your Christmas dinner plate with protein, fat and vegetables first, then think about your starchy sweet options – again, super easy if your table is filled with lamb, turkey, ham, vegetables – and aim to finish these before contemplating the dessert table. Minimally processed foods are more filling and will produce a lower blood sugar response, and let’s face it: it’s a lot harder to overeat on the pavlova if you’ve filled your plate with foods that boost satiety. Added bonus: you’ll be less likely to fall into a food coma and more likely to have more energy for some after meal activity (see #2). Chew your food properly. This is something you should do regardless, obviously, but it’s always good to be reminded of the basics. Not only will this help you digest the nutrients more effectively (minimising the amount of discomfort you might experience after a meal), a meta-analysis of studies looking at mastication (the scientific name for chewing. I know) found chewing your mouthful of food 40 times leads to changes in your gut hormones that favour an increased feeling of fullness and subsequent decrease in food intake later in the day. In addition, chewing is related to reduced stress hormones and increased alertness. These hormonal changes will change your hormonal and potentially your emotional response to food, and the increased cognitive functioning may help you make better decisions. Overall, this may help you feel relaxed about what you eat and less likely to overeat. Have 3-5 bites of the delicious foods you have on the Christmas table. While you might think that you want to finish the Christmas pudding and the pavlova, chances are, if you’ve followed some of what I’ve suggested above, you’re not going to be that hungry anyway. Does this mean you should miss out? Of course not – however practically speaking, the level of satisfaction derived from higher fat and higher sugar foods is transient – the last bite is never as delicious as the first. I could also add here to choose between the Christmas pudding or the pavlova (as research shows an increased variety of food increases overall intake at a single meal) but I’m not convinced this is a good strategy at Christmas for some people! This could potentially lead you to feeling deprived – deprivation does no one any good at all. Instead, savour every bite of the food you want to be eating, and really enjoy it. The day after Christmas? Get up and move around. Low level activity (and structured activity) is going to make you feel physically and psychologically better. And what of the food? My best advice for anyone looking for mitigate fat gain around Christmas is to not let Christmas day turn into Christmas week. So, clearly, I’d recommend NOT finishing the trifle off (sorry to be a Christmas leftover Grinch!) You are much better off having leftover cold meat, salads, perhaps some cold jersey benny potatoes (there are health benefits of these you know!) However, if you decide you want leftover trifle want to, then own it and don’t beat yourself up for it! Nutrition goals are not gained or lost in one meal or even four meals. Consistency is key, and it’s what you achieve over the course of the year that is most important, not what you don’t do over a few days. Jump back into your usual routine ASAP – if you need help with this, head over to my website for the perfect solution to get you back on track. Aim to maintain, not lose, over the next two or so weeks. This doesn’t counteract what I’ve suggested above, however if fat loss (and weight loss) is your goal, I honestly think that it’s easier on you to decide not to focus on that right now and remember it’s normal for there to be peaks and troughs. Feeling comfortable about this means you’re at a place where your attitude towards food is less about rapid weight loss (you may have been there, done that) and more about health. You can still have an overall goal of losing body fat with this mindset – and will likely be far more successful in the long run with it. 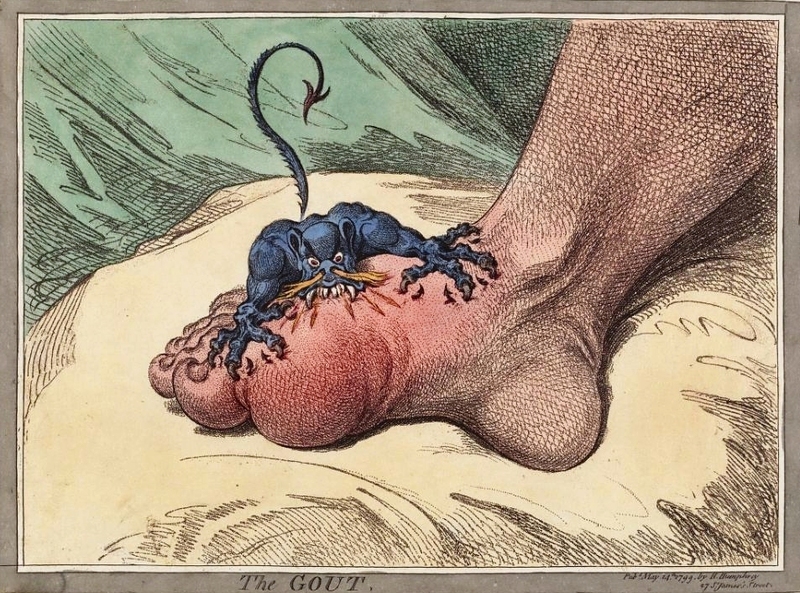 The Gout: what you need to know and 7 things you can do about it. Men have a higher risk of gout at a lower given blood level of uric acid, and at a lower age than women – generally 10 years earlier. 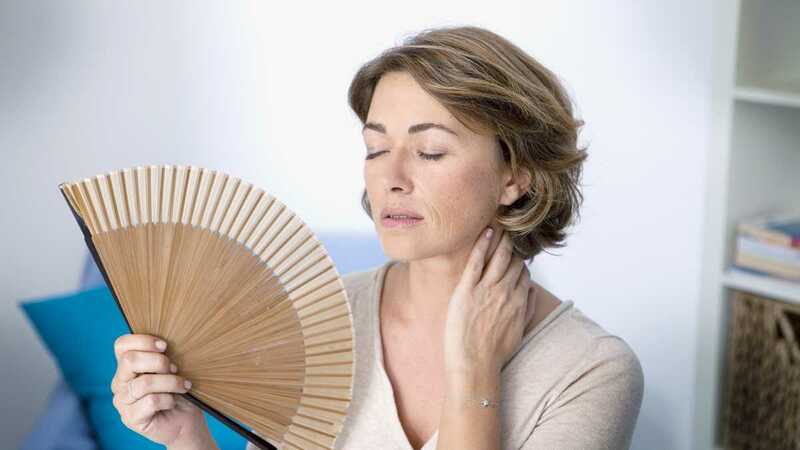 Women who go through early menopause, or have estrogen deficiency are at higher risk than women who progress through menopause at a normal age, due to oestrogen’s role in increasing uric acid excretion. Insulin resistance increases risk of gout, as insulin reduces uric acid secretion. The relationship between insulin resistance and gout is more pronounced in women than in men. There is a bi-directional relationship between high blood pressure and gout: ie if you have high blood pressure, your risk of gout goes up (independent of diuretic medication that is taken), and if you have gout, your risk of developing high blood pressure also increases. High blood pressure can result in damage to kidney and a reduction in uric acid excretion, and the inflammation associated with gout can stiffen and damage arterial walls, and reduces production of nitric oxide – which helps widen arteries. Triglycerides increase in the bloodstream when people overeat refined carbohydrate foods, and recent research suggests a reduction in serum uric acid occurs when triglycerides decrease. Alcohol intake is associated with an increased risk of gout – beer more so than wine. Overall fructose load in the diet is the only type of carbohydrate that is known to increase uric acid levels, potentially because when metabolised, it depletes phosphate and therefore doesn’t help produce ATP (energy) in the body and instead increases uric acid production. Fructose from processed food (and particularly sugary sweetened beverages) can elevate insulin levels and increase risk of insulin resistance. There may be a genetic element to this also, with people who have polymorphisms in SLCA9 and ABCG2 genes responding unfavourably to a load of fructose. A large cross sectional survey found that people following a vegan diet had the highest serum uric acid concentrations compared to fish eaters, meat eaters and vegetarians, independent of smoking status or alcohol intake. While seafood is often cautioned against for people who experience gout due to its purine content, a number of studies have failed to find a relationship between seafood intake and serum uric acid levels. Those that have found a relationship may not have adjusted for body mass index (BMI), which can confound the relationship as it did in this study. Indeed, those populations who are at greater risk today (such as Maori and Pacific among New Zealand population) enjoyed a traditional diet of predominantly seafood, vegetation, tubers and gout was non-existent. Look after your gut. Bacteroides caccae and Bacteroides xylanisolvens are increased, and Faecalibacterium prausnitzii and Bifidobacterium pseudocatenulatum depleted in the gut of people who experience gout, suggesting a strong correlation with the presence of gout. F prausnitzii is one of the most abundant bacterium in the gut of a healthy individual, helping produce short chain fatty acids butyrate, which is fuel for our gut bacteria, and the provision of B pseudocatenulatum improves markers of gut wall integrity. So these are pretty important! While this doesn’t necessarily mean that the provision of certain bacteria through probiotics will reduce gout attacks, it does suggest that inflammatory processes of the gut play a role in the presentation of gout and provides further evidence of the importance of a diverse population of bacteria in the gut for overall health. Supplementing with 1500mg vitamin C reduces serum uric acid and its antioxidant functions may also help kidney function by reducing inflammation. Like your coffee? You don’t have to go without if you have gout and in fact, 4-5 cups per day have found to decrease serum uric acid that isn’t seen with green or black tea, or total caffeine intake. Decaffeinated coffee has afforded similar benefits, leading investigators to suggest the phenol content (phytochemicals) might increase insulin sensitivity and decrease serum insulin, as discussed above insulin levels have a positive correlation with uric acid due to decreased renal excretion. Furthermore, xanthines, either in caffeine or in coffee itself, could inhibit xanthine oxidase – an enzyme that increases reactive oxygen species (and inflammation). Magnesium intake is associated with a decreased serum uric acid level in males, and marginal intakes is associated with higher levels of markers in the body indicative of inflammation. Magnesium is low in soil which makes dietary sources of the micronutrient not as high as they once were, therefore supplementing with magnesium of 300-600mg/day (depending on bowel tolerance) is likely a good idea. (To be honest, I’m a big fan of magnesium supplementation for pretty much anyone male or female, given it’s a co-factor in over 300 processes in the body). Tart cherry extract – not just useful for sleep – is found to reduce the prevalence of gout flare ups in cross sectional studies, potentially due to the presence of polyphenols including anthocyanins, and vitamin C found in the fruit, which have anti-inflammatory and antioxidant affects. While a low purine diet is often recommended as a dietary prescription for people with gout, many purine-containing foods (such as seafood and vegetables) do not contribute to hyperuricemia or gout and may in fact be protective. The effects of red meat consumption on serum acid levels are arguably hard to disentangle from other elements of the modern dietary pattern, and are often in conjunction with higher alcohol intake, lower fruit and vegetable consumption and higher fast-food intake – all contributors to inflammation in the body. In addition, the agricultural practices of the cattle industry in countries such as the US where many of the epidemiological studies that associate red meat with poor health (including higher serum uric acid levels) include the use of antibiotics, poor farming practices and animals that are grain and not grass fed, altering the fatty acid profile of the meat to be higher in omega 6, pro-inflammatory fats. Furthermore, processed and fresh meat is often grouped together – thus a steak is viewed the same as a hamburger from a fast-food outlet – the latter often being in the company of a bun, fries, mayonnaise made with industrial seed oils and a sugar sweetened beverage – the adverse effects which many, myself included, argue cannot be adjusted away by a statistician when determining risk. *I don’t think you need to start consuming low fat dairy if right now you’re enjoying the benefits of full-fat dairy in the context of an awesome diet. I think this could well be indicative of overall lifestyle patterns. I’d be surprised if there were studies showing that risk of gout is increased in a diet that is whole food, minimally processed, an abundance of vegetables that also incorporated full-fat dairy products.